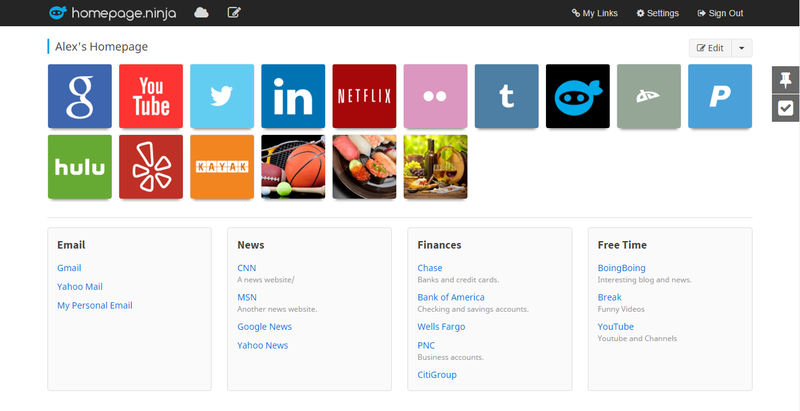 Homepage Ninja is a 100% free online bookmark manager with productivity tools. When people create a homepage with us, they will be able to show two types of links on your hompepage: (1) icon links and (2) text links organized into separate lists. They can also store less important links on our temporary bookmark sidebar. In this way, they can use their homepage for bookmarks they visit regularly while storing other websites in their temporary bookmark list. We have lots of new ideas we are working on and hope Homepage Ninja will be the ultimate start page to the internet. Our to-do lists were created to help improve our user's productivity. They can create multiple to-do lists such as a holiday shopping list, grocery list, gift list, etc. Users can mark each item with a different colored flag and also keep track of finished and unfinished items. A bookmark can also be included with each to-do list item if it relates to something the user want to check out on the internet. This works perfectly for shopping lists when there is an item to be purchased online. Most people don't visit all their bookmarks all the time. The majority of them sit idle in their bookmark list or as random shortcuts on their desktop. This is where temporary bookmarks comes in. The temporary bookmark section was created specifically for those links that aren't very important or links that the user just want to check back on later. Separating important bookmarks from the temporary bookmarks will help the user be more organized with their links. It will also create a clutter-free homepage experience. Nov, 10, 2015 - Homepage Ninja has launched a free online bookmarks manager where you can view and organize your favorite links on the cloud while having access to them from any browser or device. Bookmarks can be customized visually and textually, while links can be organized in specific lists with custom titles and descriptions. 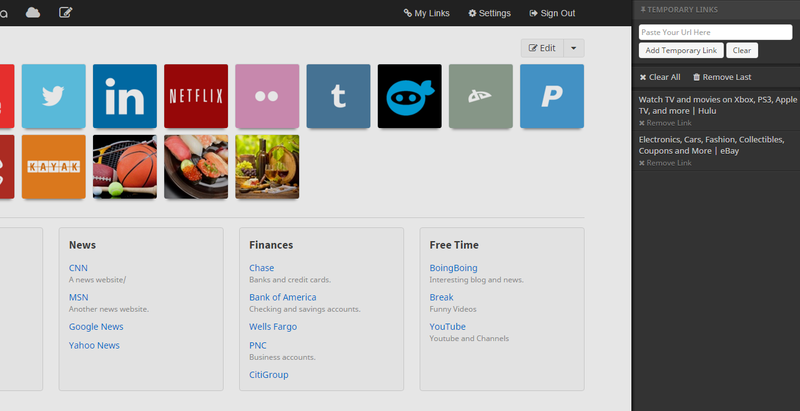 A touch interface can also be used when organizing and sorting links. Hi, my name is Enoch Lee and I'm the Founder and Developer of Homepage Ninja. I have been developing websites professionally for the last 10 years. I was always interested in having my own business, and started my journey of entrepreneurship since I was in Junior High (selling candy to my friends). Then in High school, I started my own eBay business to earn a little extra spending money. Out of college, I believed that I wanted to be an IT Auditor, and found a position with one of the Big 4 auditing firms. However, I soon realized that it wasn't for me and decided to quit my job and develop a new social networking website (which was all the rage at the time). Although that idea didn't work out, I was able to change careers working as a Web Developer. Over the next few years, I tried launching some other websites while keeping a full-time job. I've used up many weeks of PTO and personal finances to develop my ideas. In the end, they became great learning experiences and helped me improve my technological skills. 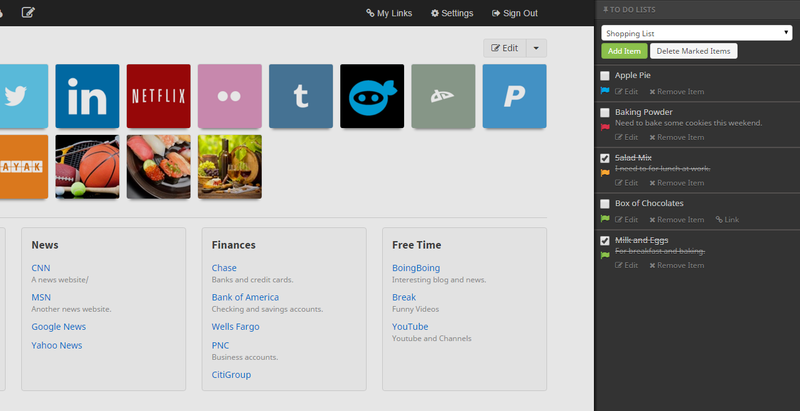 I decided to make Homepage Ninja because I couldn't find an online bookmark organizer that I liked. Most of them were not responsive, so they didn't show up on my phone or tablet correctly. A lot of them were too complicated or didn't have features that I wanted to use. So, Homepage Ninja was born! I use Homepage Ninja every day, and am the most active user. Since I am working so closely with this product, I hope it translates into a better experience for our users and extra features in the future that will help organize your life. I have a long list of new features I'll be developing over the next few months and years and I hope it will bring more value to our users and help make their lives easier.